Born in Scotland in 1854, his family came to Detroit two years later. His career as an innovator was expedited during his tenure with the Buick and Sherwood firm in Detroit. Buick was responsible for a process of placing white porcelain on bathroom fixtures, sidestepping a German patent lock that had prevented that from happening. Growing bored with the plumbing business he set up shop in Detroit in a factory to build gasoline engines in 1897, still in combination with Buick and Sherwood. In 1899 the plumbing company was sold to the plumbing firm later to be known as American Standard, and David turned his attention to engines full time. By 1900 he had set up shop at the corner of Beaubien and Lafayette in a building that still stands today (and was shared by the equally entrepreneurial auto pioneering Dodge brothers). His new firm was called Buick Auto Vim, and it set it’s sights on building an actual operational automobile. He partnered with Walter Marr to achieve this, although their relationship would prove to be a stormy one. Both were hot tempered and quick to argue. Still they managed o craft a working relationship that led to the first Buick automobile whicn was produced in Detroit, and then ultimately sold to Marr who had quit in a huff during a particularly angry dispute with Buick. By 1902 the company named had changed yet again, this time to the Buick Manufacturing Company and was then based at 416-418 Howard in Detroit. An early employee of Buick’s Eugene Richard had previously taken an existing European design for an overhead valve engine used for pumps in France, and reengineered it to the extent that he was able to file for a patent. Marr meanwhile had patched things up with David Buick and returned to the company in early 1902 signifying the only time the three key innovators of what would become the revolutionary Buick Overhead Valve Engine design were working together (Buick, Marr, and Richard). Despite this progress of 1902, and foreshadowing his inability to pair business acumen with manufacturing genius, Buick found himself deeply in debt, and his company was essentially insolvent. In to the story comes creditor, friend, and business colleague Benjamin Briscoe, to the rescue (not the least of reasons being that Buick owed him a considerable sum with no way to pay). Briscoe offered to help Buick reorganize the company in May of 1903 under still another new name the Buick Motor Company. Briscoe, along with his brother was the owner of a large sheet metal firm in Detroit became the chief Buick stockholder, but promised Buick to transfer ownership of the firm back to him if the debt could be erased. Soon enough Briscoe became enamored with working with another company looking to get in to the automobile manufacturing game - the Maxwell auto firm. Briscoe figured if he couldn’t get his money out of Buick from sales of cars (which seemed unlikely) he would seek to sell Buick Motor Company, or failing that, roll it in to a merger with the Maxwell company. As fate would have it Briscoe’s brother Frank was visiting relatives in Flint, and a local real estate broker named Dwight Stone told him that a local carriage manufacturer Flint Wagon Works, was looking to get in to the car business to diversify their carriage manufacturing. The President of the Wagon Works was James H. Whiting, and after meeting with Briscoe the directors of the Wagon Works decided to take the plunge and purchase Buick and bring it lock, stock and barrel to Flint- along with David Buick and his team. To seal the deal David Buick had to personally drive a Buick to Flint. Despite numerous breakdowns along the way, the car made it and the deal was sealed on September 3, 1903. A new Buick factory jumped to life located right next to the Wagon Works on West Kearsley Street in Flint. On January 16, 1904 the old Detroit Buick Motor Company was dissolved, and the new Flint version of the Buick Motor Company was established. David Buick moved his family to Flint, and they rented a large home at the corner of Kearsley and Stevens streets in downtown Flint, where the University of Flint campus is currently. Since April of 1904 Marr had been back with Buick in Flint and trying hard to persuade Whiting to actually build a car. Whiting was either pretending to be reluctant or desiring some back up evidence that it made sense. Regardless he told Marr if he could produce a Buick that could successfully make a round trip from Flint to Detroit , Marr and Buick could go in to serious automobile production. So in June of 1904 a brand spanking new Buick was tooling around the open lots of the Buick plant. Finally on July 9 the car was ready for the big Flint to Detroit road test. With Marr at the wheel, and Buick’s son Tom riding shotgun, the car made the trip and proved to Whiting that it made sense to go in to full automobile production. Much like Buick’s experience in Detroit, success led to another seemingly inevitable and unavoidable failure. The firm was broke, and deeply in debt, bleeding money daily and still screaming for more and more capital. Whiting realized he knew a lot about making buggies and not much about cars, and even less about how to raise real money in the capital markets. He also realized that Buick was not only not much more savvy, he was focused as much on vacation time and days off as he was on car production. Whiting knew he needed a much more focused man to run the firm, someone with more energy, more moxie, energy, and access to a lot more money. While speaking of this with Fred Aldrich, secretary of the Flint based Durant Dort Carriage Company, the world’s largest manufacturer of vehicles, Whiting was complaining about Buick’s management style, effort, and results. 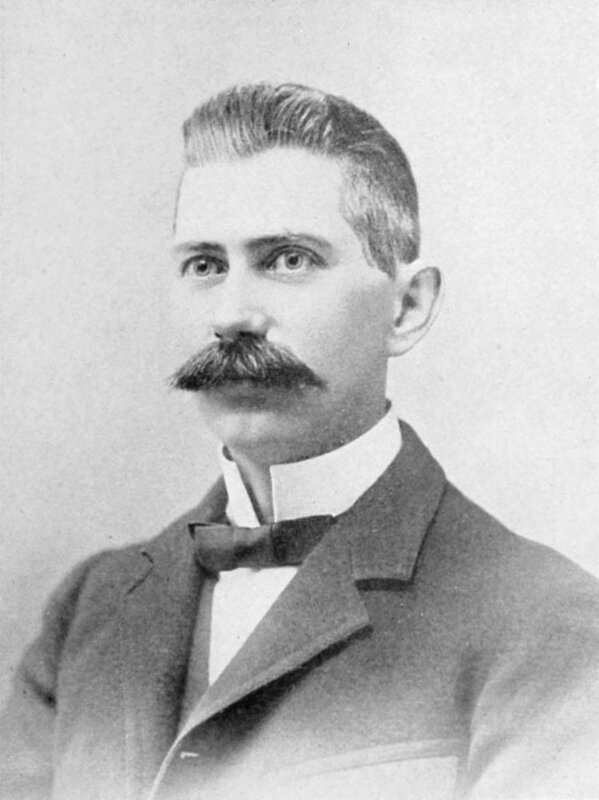 Aldrich told Whiting that his colleague, boss, and Flint legendary business and sales dynamo William C. “Billy’ Durant was the only man who could turn the company around. Durant, reluctant at first, was ultimately persuaded that the Buick automobile possessed the qualities of what he called a ‘self-seller’, today we might call it a blue ocean (Durant would bring man of them to the world), and took over operations of Buick on November 1, 1904 setting in to motion the greatest manufacturing boom the nation had ever witnessed. While Durant saved the company, and set the stage for Flint’s meteoric growth, and built the foundation for the creation of General Motors four years later, Buick’s role in his own company ultimately began to diminish significantly. In only 15 months David left the firm, resigning on February 13, 1906 from the firm the bore his name. Buick’s son Tom, suffered a series of financial setbacks and was a door to door Fuller Brush salesman when he died in 1942. Shortly before his death. David Buick was interviewed by the great historian Bruce Catton. Buick was working as an instructor at the Detroit School of Trades and was essentially broke. He told Catton “ You know I’ve been to practically every one of my friends of the old days – millionaires now, every one- and asked for a job, and none of them had anything for me.” Billy Durant came to see him at his home in Detroit from time to time for dinner. A big celebration of the 25th anniversary of Buick was held in Flint in August of 1928. Buick wasn’t invited. Neither was Buick racing legend Louis Chevrolet, Walter Marr or even Billy Durant (all who were no longer affiliated with the firm). It was if nothing, a forward looking, relentless, and unsentimental time to be sure. Buick died seven months later, completely destitute. His headstone in the Detroit cemetery he’s buried in, bears the vertical Buick automobile brand logo script. His name remains one of the most famous in all of world manufacturing history.